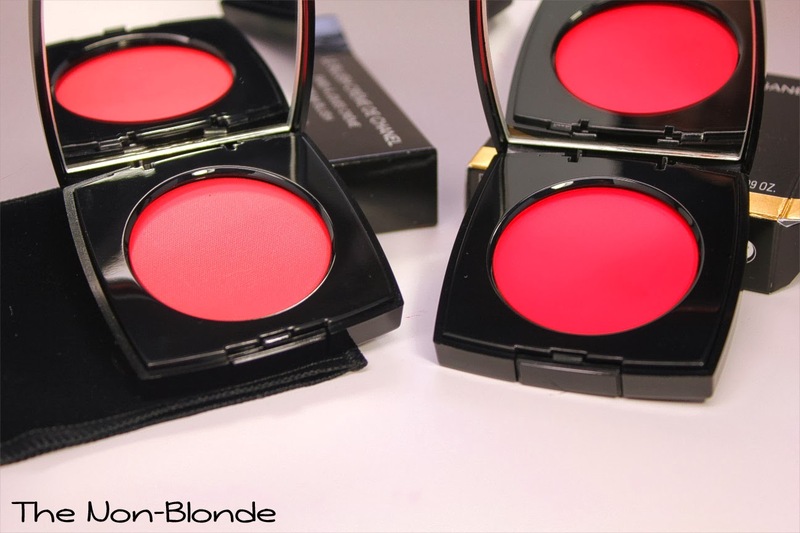 Le Blush Creme de Chanel in Chamade (#67) and Intonation (#69) were my only two picks from Chanel Spring 2014 Collection, Notes de Printemps. Spring colors are rarely my thing, so it's not that big of a surprise, and while Chanel does offer a couple of reddish lip colors in this collection (Glossimer in Sonate and Rouge Allure in Melodieuse), I just didn't feel an intense need for them. But I loved the cream blushes Chanel previously released in the fall (see my reviews of Revelation, Fantastic, and Destiny), and they're among my most used blushes, so this was an easy choice. 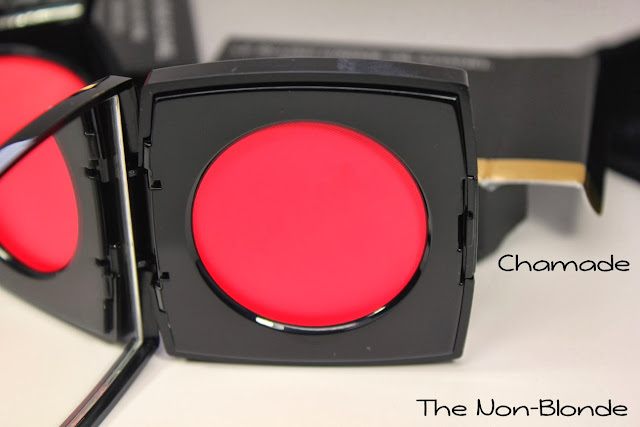 The texture and finish of Le Blush Creme de Chanel is cream-to-powder. The blushes are very lightweight and apply elegantly even if more often than not I just swipe and blend them with my fingers. Speaking of blending, both Chamade and Intonation require quite a bit of that, since they're very saturated and intense. 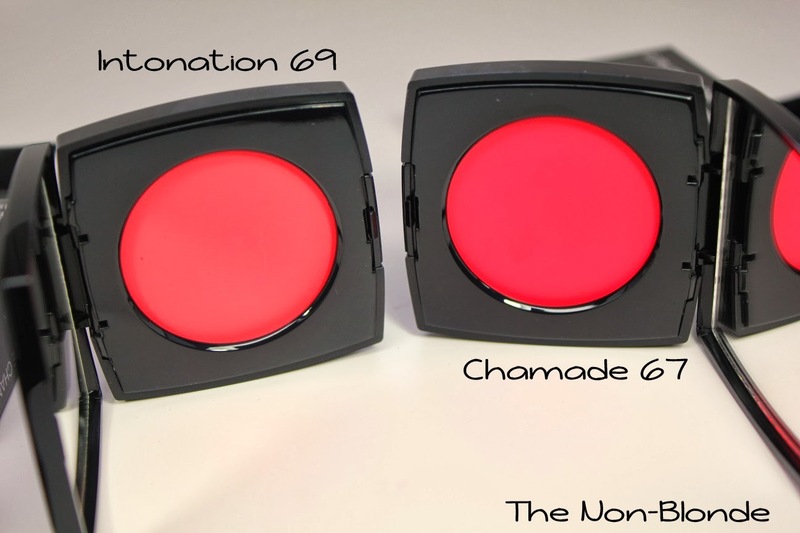 These are two variations on coral, Chamade is a pinkish red, while Intonation is warmer and peachier. You'll notice that the swatches show the difference more clearly than what you see in the pan-- these colors are really nothing alike. 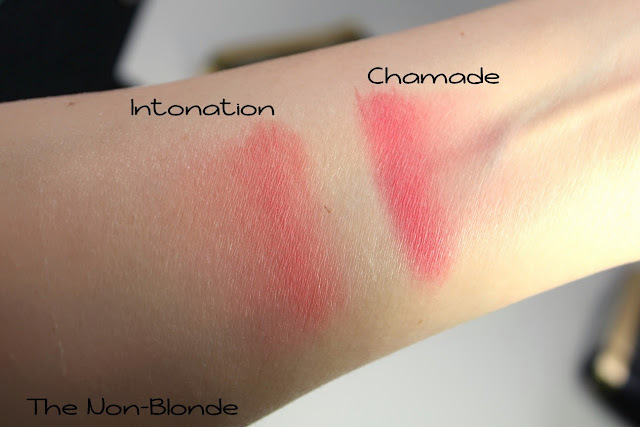 Like the other Le Blush Creme de Chanel colors I have, Chamade and Intonation are very long lasting (at least over a well-applied base), and they've survived walking around in the pouring rain. While I know that they'll make for a great spring (and summer) look, they're also great to revive midwinter pallor and for a Snow White effect. Bottom Line: Chanel has a winner with this formula. My 2014 wish list includes one of these! 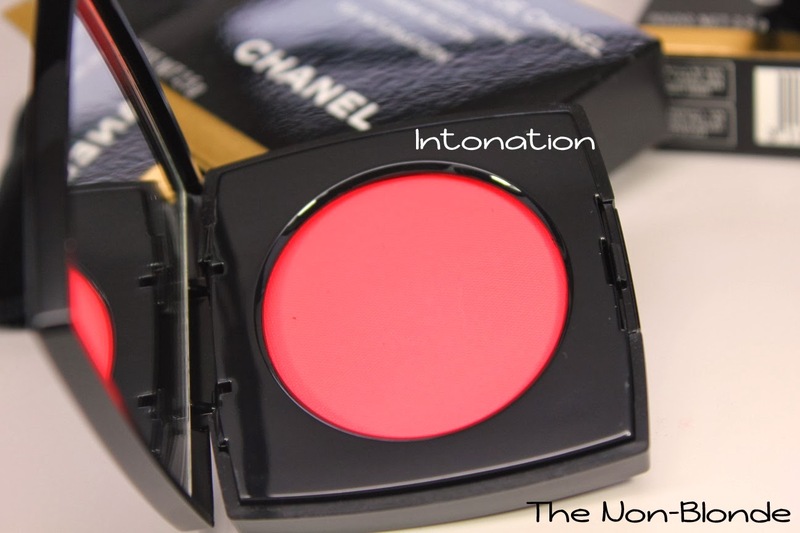 I own Intonation--it's a bit springy/summery for the current season, but I know I'll love it (as I do my other Blush Creme de Chanels) once spring arrives. I think I'll ultimately end up with Chamade, too. Your swatches are quite helpful in elucidating the differences between the shades. I live far from counters--which means I buy online, sight unseen--and so I really appreciate your swatch help! Chamade is lovely on the eyes. That's how I've been wearing it. Cream blushes don't appeal to me, but the colour and formula really work everywhere.